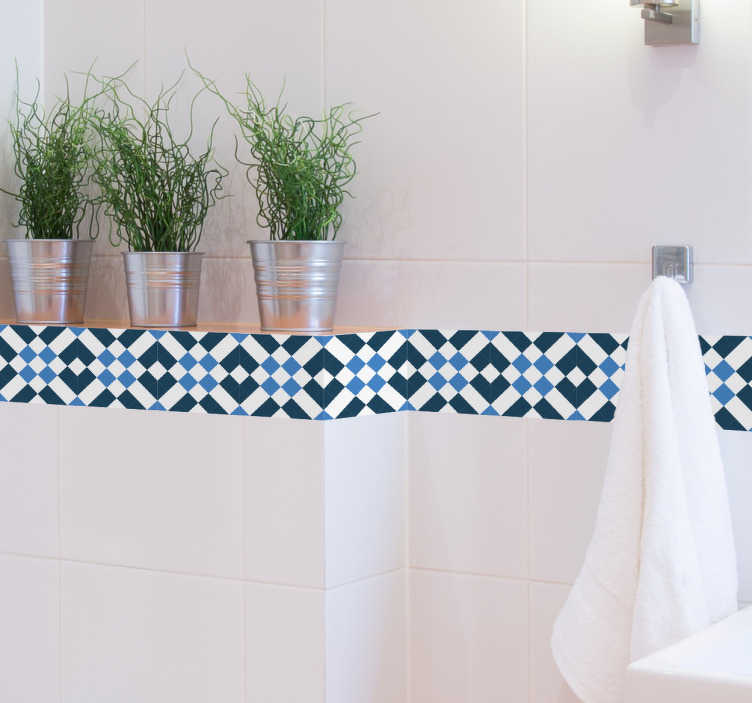 Geometric tile border sticker for your kitchen or bathroom. Add a touch of style to the walls of your home with this gorgeous Mediterranean design made up blue and white tones to really bring the decor together. These decorative vinyls are ideal for making a room look classy and sleek at extremely low costs.